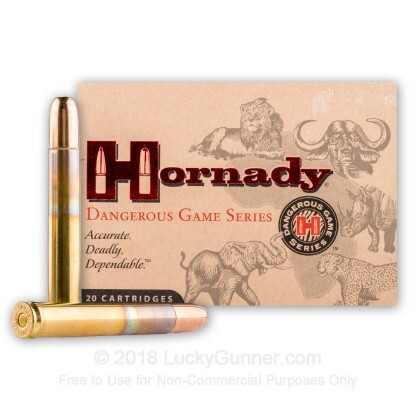 Hornady's Dangerous Game Series ammunition is designed for hunting game that hunts back! 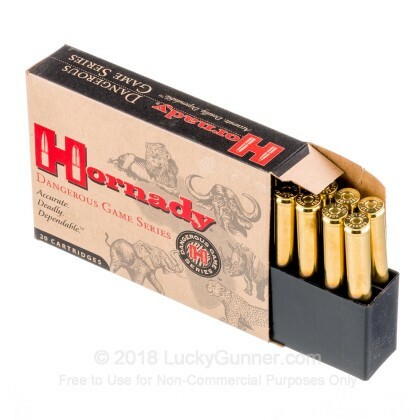 When your hunt requires deep penetration and serious stopping power, Hornady's Dangerous Game Series delivers maximum stopping power! 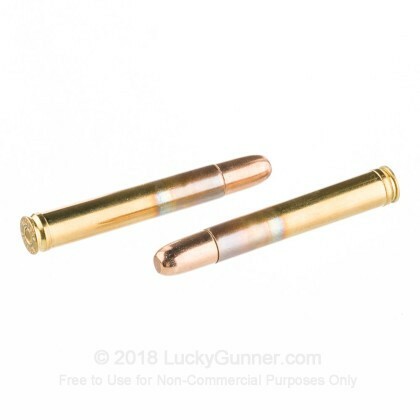 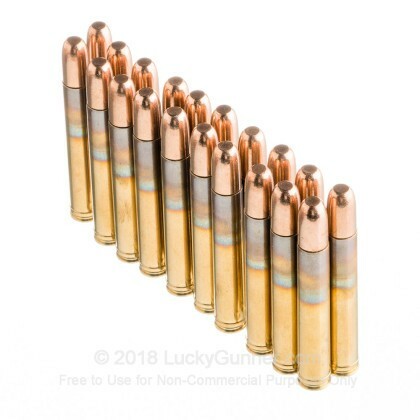 These rounds feature a massive 500 grain, Hornady DGS projectile. 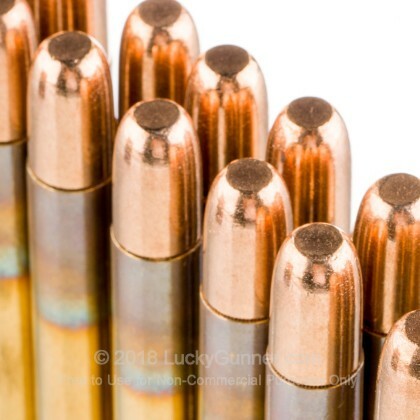 Hornady DGS bullets wrap an extremely dense, high-antimony lead core, first with steel, then with copper for incredible weight retention and minimal deformation. 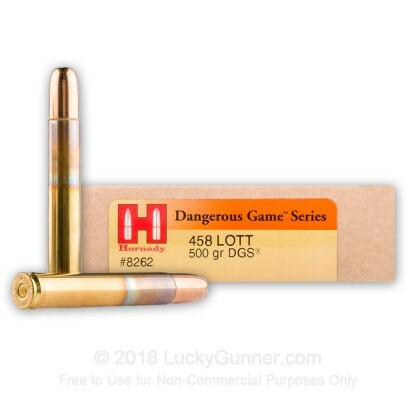 If you're looking to take down some the planet's biggest and most dangerous game, Hornady DGS loads are your solution.